Nabil Fekir needed additional time to recover from the collapse of his transfer to Liverpool, according to Lyon boss Bruno Genesio. 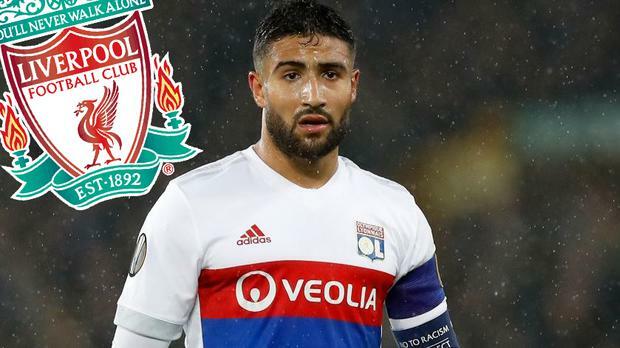 France midfielder Fekir was on the brink of a move to Anfield in June and had even completed a medical with the Anfield giants, but the deal fell through after a complication with an old knee injury. Independent.ie confirmed last month that Liverpool would not be reviving the deal for Fekir in the summer transfer window and now Genesio has revealed that the World Cup winner has taken time to move on from that disappointment. "It is never easy accepting this kind of situation, when you are very near to signing for a club where you want to go, where you want to reach another level and to give a boost to your career," said Genesio. "But it could have been worse for him. He is at Lyon, at a strong club, he is captain of a team who plays in the Champions League. This could be a very important season for Nabil. I haven't seen any attitudes or signs that make me think he won't live up to his role the way he did last year." Fekir is expected to return to action this weekend after an extended break following France's World Cup win, with his Lyon boss hinting part of the reason for his delayed return was a desire to ensure he was ready to play for Lyon once more after he so nearly moved to Merseyside. "It was better to take our time with him, even if we would have liked to have had him with us from the start of the season. He wasn't ready physically," added Genesio. Liverpool manager Jurgen Klopp has opted not to comment publicly on the club's decision to pull out of a deal for Fekir, with Anfield insiders suggesting they are unlikely to revive a deal for the player in the January transfer window. Analysis: Is Liverpool's midfield really better this season or is it just a Jurgen Klopp trick?